Books and journals on topics related to ISME’s interests. John Gregson examines Alasdair MacIntyre’s engagement with Marxism from the early 1950s to the present, highlighting MacIntyre’s continuing admiration for much in Marx’s thought while noting that his contemporary project is developed in response to what he now sees as the inadequacies of Marxism, particularly Marxist politics. Rob Compaijen puts Søren Kierkegaard in dialogue with Alasdair MacIntyre and Bernard Williams on the nature of practical reason. He defends Kierkegaard from the charge of irrationality and argues that Kierkegaard remains an important source of insight on the nature of the ethical life and the life of faith. Steven Stolz provides a critical examination of MacIntyre’s thought as it relates to education. What are the pedagogical implications of MacIntyre’s conception of rationality and rational enquiry? 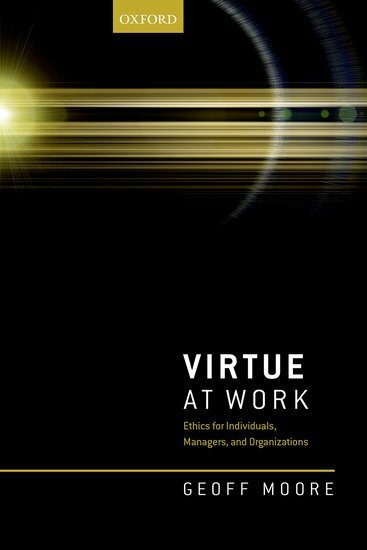 Drawing on the work of Alasdair MacIntyre, Virtue at Work provides an integrated and philosophically-grounded framework for organizational ethics from the perspective of practitioners in the workplace, from the perspective of managers in organizations, as well as from the perspective of organizations themselves.